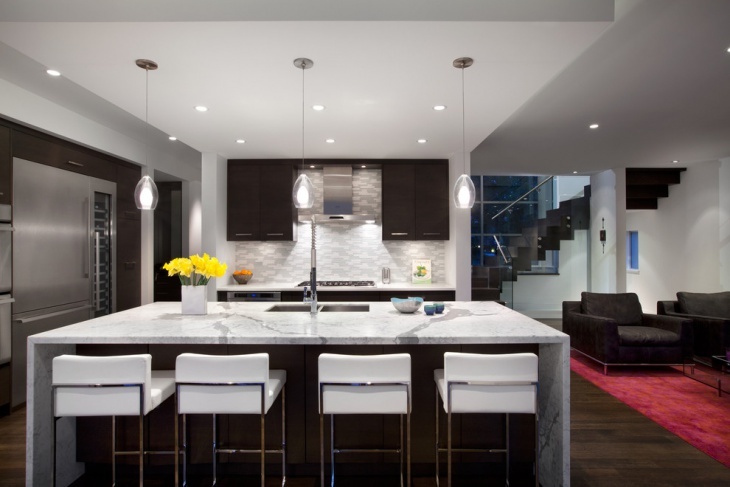 LED pendant lights are slowly becoming a favorite for many homeowners owing particularly to their aesthetics and energy efficiency. 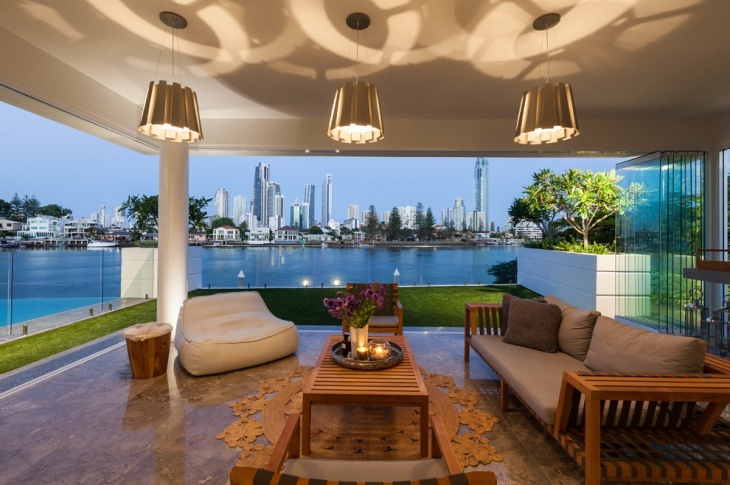 Besides this though, they also offer design versatility providing a host of options when it comes to both interior and exterior décor, whereby they can be used in literally very space within a home. 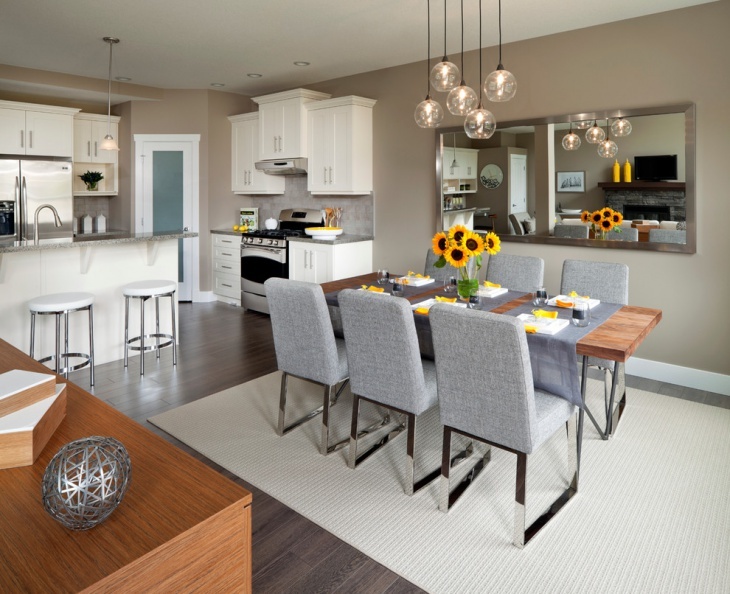 Pendant lights can be used for general lighting, task lighting as well as area lighting whereby just a single spot or area is the point of focus. 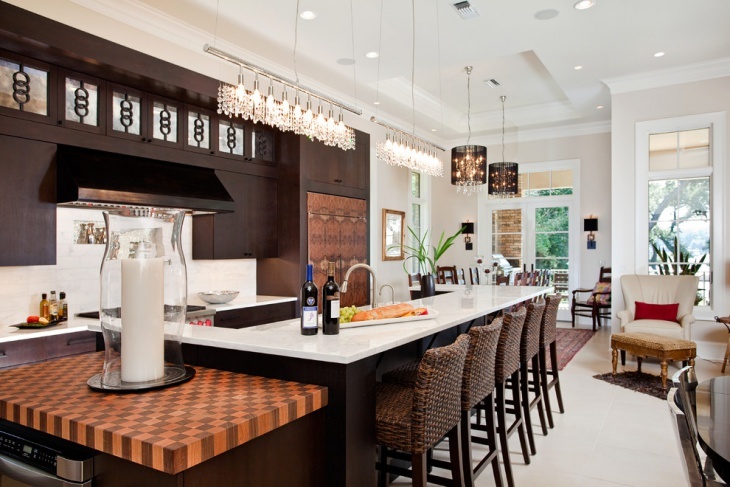 These linear chandeliers add to the sophistication of the kitchen and offer a great lighting idea for this kitchen island with a Calacatta Gold marble countertop. 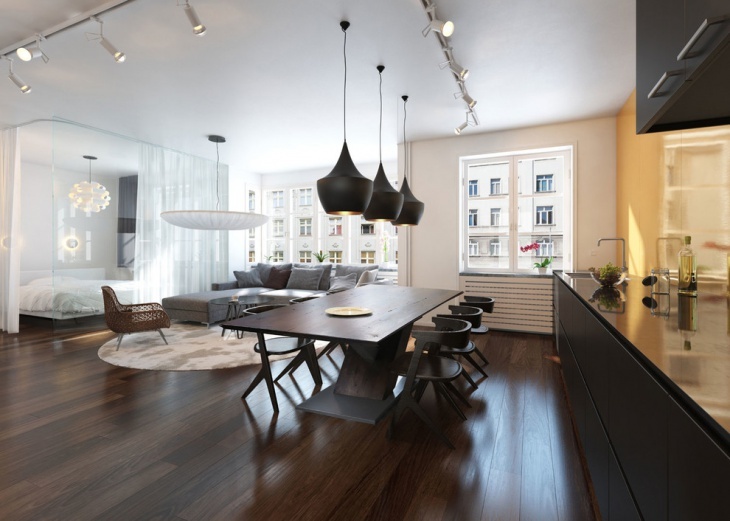 It shows how choice of lighting could instantly add sparkle to a space. 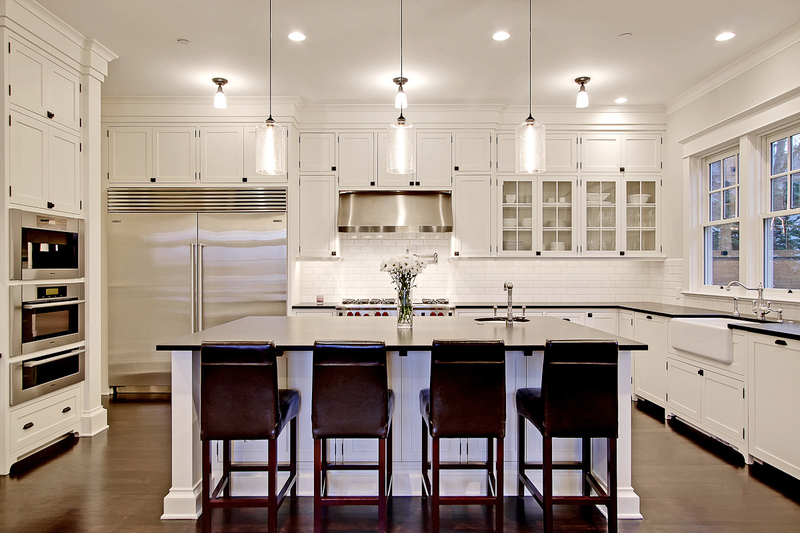 Another option would be having numerous small pendant lights as opposed to installing just one big light. The former not only adds visual interest but also brilliantly lights every inch of the bedroom, resulting in soft lighting. 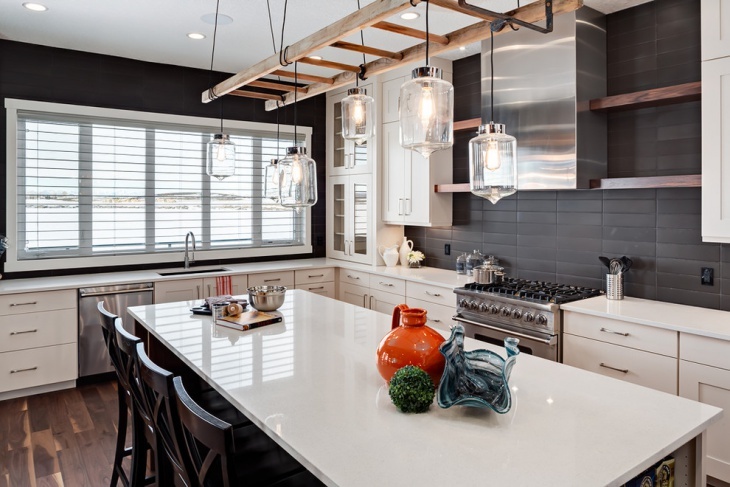 Many people would have opted for chandeliers to light the above space but as an alternative, why not have numerous individual pendant lights hanging from the ceiling and dropping down to different heights? Besides, you could have each bulb emitting a different light color creating a fairytale-like elegant yet playful lighting effect. 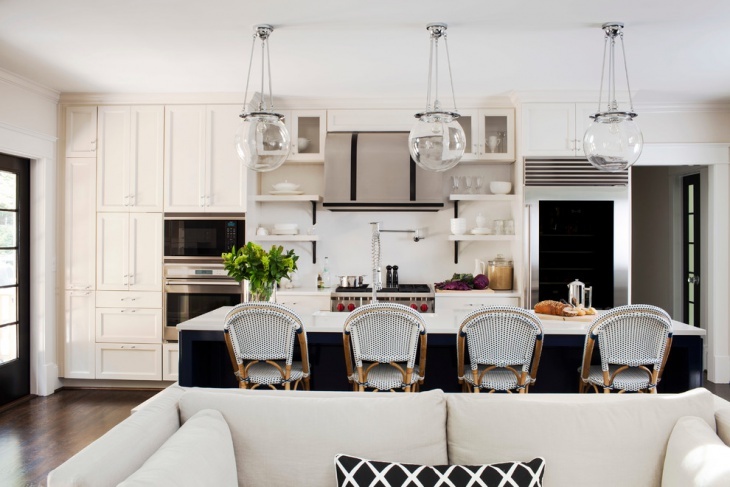 The white kitchen pendants above this kitchen island complement the two-toned décor of the room blending in flawlessly with the semi-flush mounted lights. 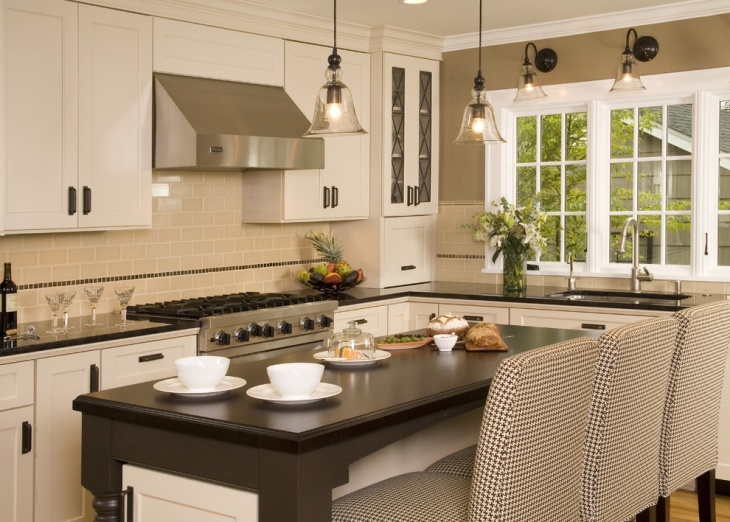 The cabinetry is well done with beautiful latch and pulls details and the chairs top off the elegant look of the kitchen. 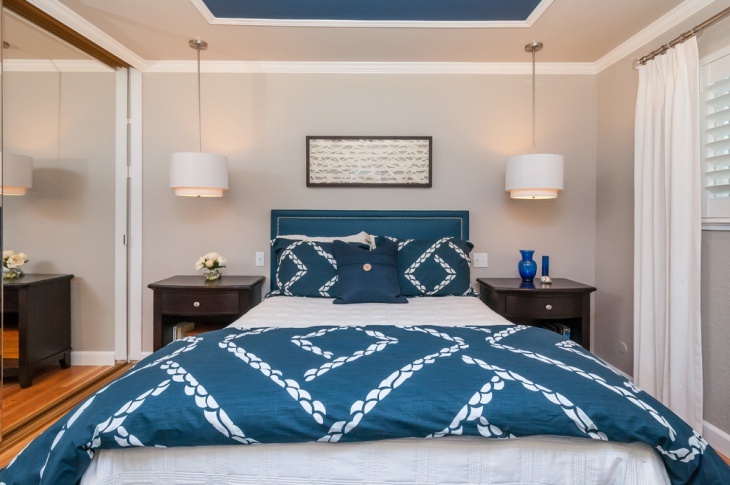 The idea of placing low-hanging pendant lights above the nightstands not only frames the bed but also comes in handy when you need to provide bedside lighting in the absence of table lamps. 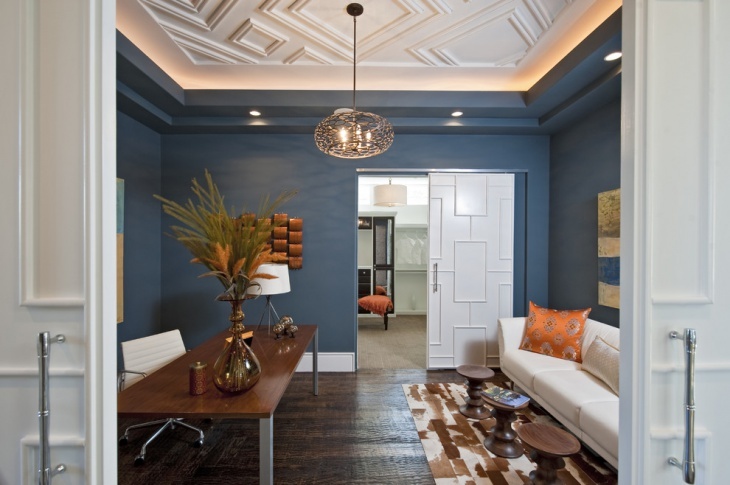 The recessed lighting and the ceiling rope lighting both complement the pendant lighting setting the ideal mood for this study. 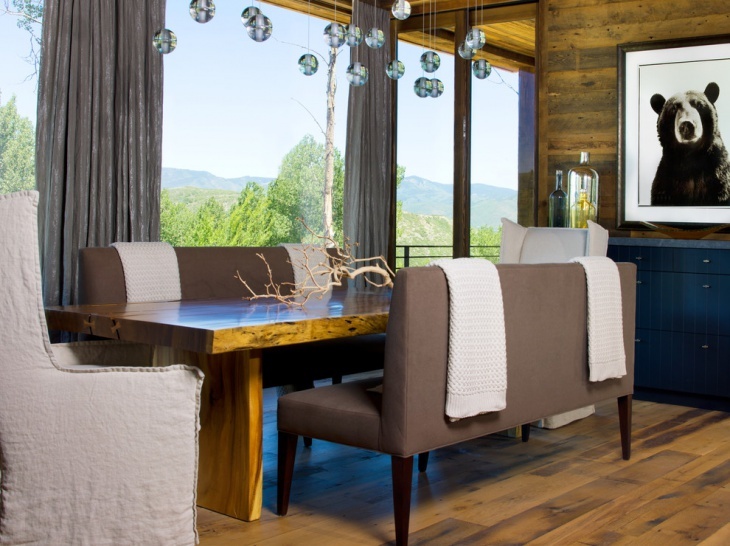 The design and bronze finish of the pendant adds glamor to this space giving it a homely yet elegant feel. 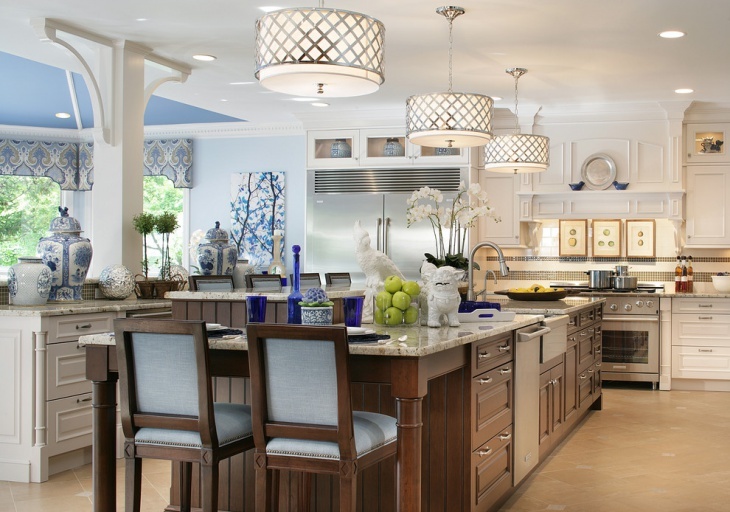 When lighting with pendants always attempt to match the style of the pendants to the style of the room. 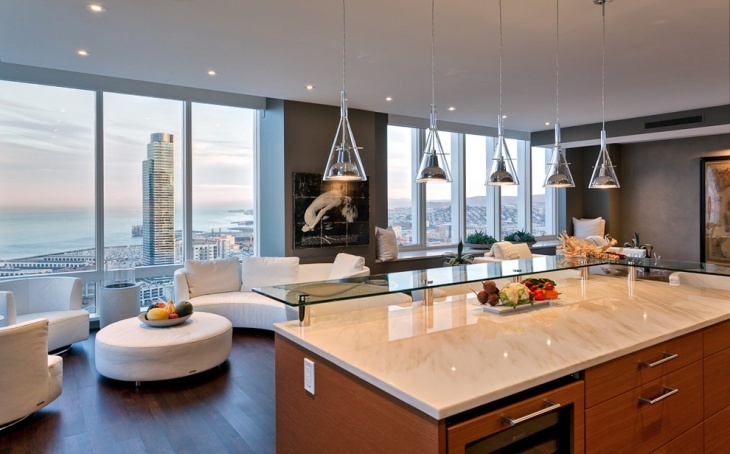 In the above kitchen, the modern glass pendants are a great choice for this tastefully furnished modern space. 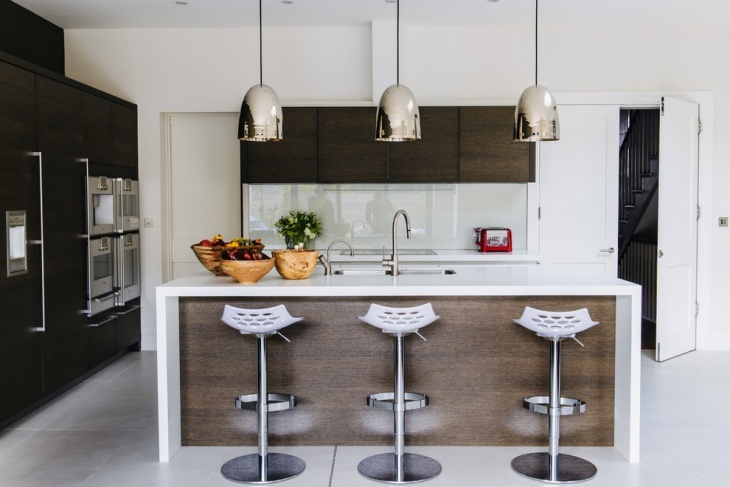 Many people tend to shy away from the shiny nature of metals but as this kitchen proves, stainless steel light shades might be just what your space needs. Black pendant light shades would have worked just as well. 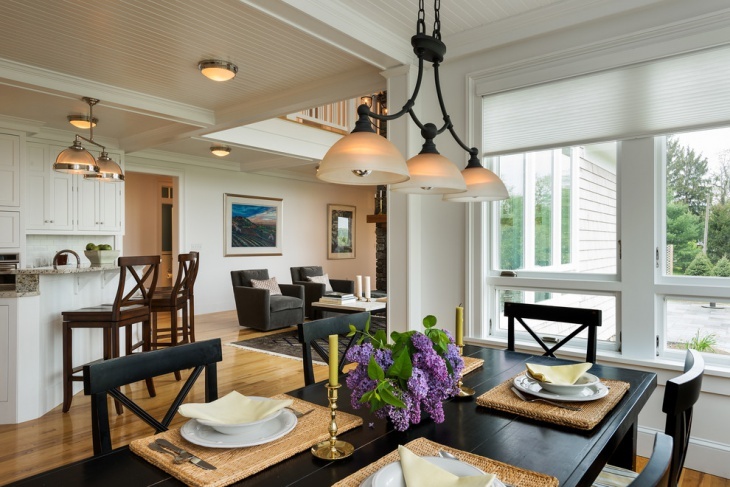 Another decorative tip would be having pendant light shades which create a pattern on the ceiling once the lights have been turned on. Of course, this works best on a plain ceiling as an already-patterned ceiling would look too busy to the eye and cause visual discomfort. 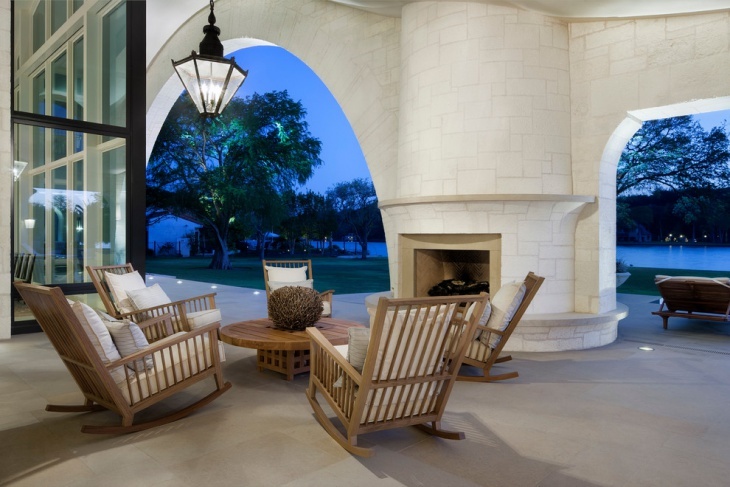 Led lights come in many different forms and sizes and as such, they offer immense design versatility and flexibility. You can easily play around with them to create the ideal décor in terms of the light shades used or the LED lights themselves in terms of bulb design and color of light emitted.